The Symptoms had performed at Desire Central Station Festival in Subotica, where Head First - or the contractions of expanding time and Sea Lavender - or the euphoria of being had a big success in Kosztolányi Dezső Theatre. Both performances were sold-out, our team experienced an open-minded, hospitable and professional attitude from the organizers and visitors. 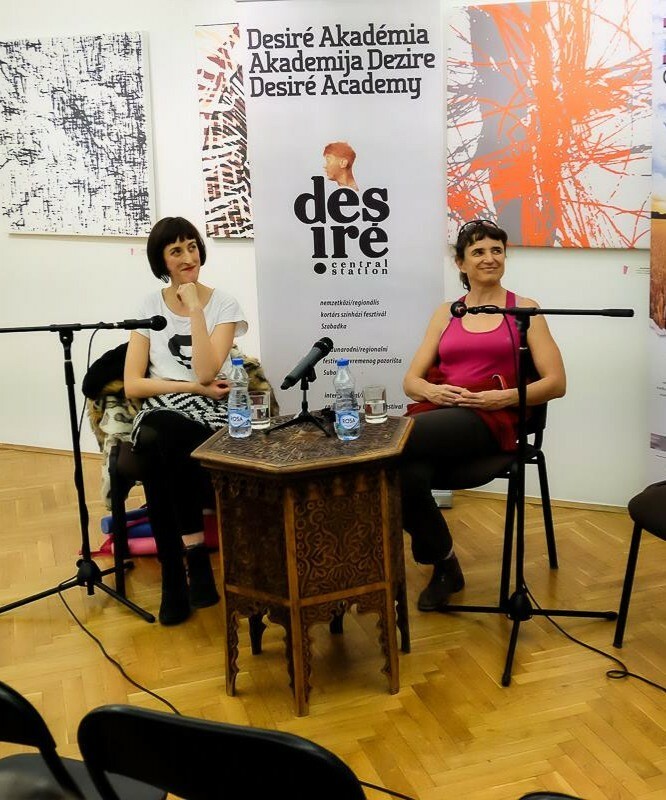 Desiré Academy also hold an artist's talk between Réka Szabó and Veronika Szabó and they discussed questions regarding the choice of topics in the perspective of a female artist. The event was moderated by Gyula Francia. Eva Fahidi, the 93-year-old performer of Sea Lavender also gave an interview to Újvidéki Radio.